My morning surgery began today with a patient of mine, who works as Health Care Assistant (or Band 3) in our local acute hospital trust. As we find across the board in the NHS right now, there are pressures in her department with under-staffing and a very high and demanding work load. She started her day in tears, telling me about the sleepless nights, but even more so about the lack of support she is feeling in her work environment. She feels unable to understand why huge fees are paid to find locum consultants, when posts are not covered, but money cannot be found for the absence of staff at her level, when the numbers are down, leading to an increased pressure and low morale. Now, this is not a criticism of the acute trust we partner with every day, because I actually know all too well the situation here, how complex it can be and just how dedicated to caring for staff the leadership of the trust are. However, when we read in the press today about sickness absence for stress among paramedics, and if I were to detail more stories about the number of cases I am currently dealing with as a GP about stress in the workplace for ALL grades of staff in the NHS and social care setting, then we have to face up to the fact that we have a problem. Stress in the workplace and low morale in our teams is not a problem we can afford to ignore. 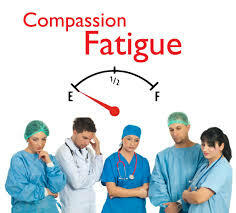 It not only causes high sickness rates, which then increases the pressure on teams, with knock on financial implications to the system; it also causes significant compassion fatigue (i.e. staff are literally less able to care about or for their patients), because they are emotionally overwhelmed, under-resourced and therefore become more numb, disengaged and unkind and this is detrimental to patient care. The problem is actually really complex, but it is, in my opinion, primarily cultural, and particularly affects the lower pay-grades of staff, because they feel and are in fact less able, to influence change. If we do not develop a culture of kindness towards our own teams and have a sea-change within our working environments in terms of how we care for each other, we will only see the problems go from bad to worse. 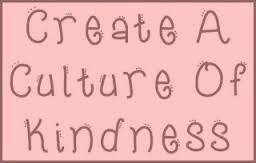 So, how do we create a culture of kindness, a culture of honour, a culture of wellbeing? Humanity – First, we must recognise that hierarchy has the inbuilt tendency to de-humanise us. As we get higher in the pyramidal systems in which we work, we can easily lose our humility and compassion towards others as we have to cope with the greater demands from “above us” and if we’re not careful we can turn into slave drivers. Top down, controlling leadership is detrimental to good morale and stifles teams from working effectively. There is a famous, ancient parable (told in the New Testament) about an unmerciful manager, who owed a huge amount of money to his master/CEO. The CEO called him to account and threatened to fire him. However, he begged for mercy and the master cancelled his debt and gave him a fresh chance. However, this same manager then went and found all the people who owed something to him, and instead of paying forward the mercy he had received, treated his own debtors shamefully, despite their begging and pleading for mercy. When the CEO found out about this, the manager was duly fired. I wonder how often we tolerate ‘bullying’ by managers, because they ‘run a tight ship’, without calculating the cost of this style of management on our teams and the patients we serve? Changing culture is hard. Even if the CEO sets a good culture, any one of us can bring a negative influence in the area we work. 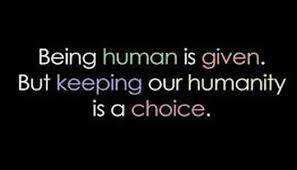 We have to make a conscious choice to keep our kindness switched on. As we climb the ladder of responsibility, we must continue to act with humanity. We must also remember that it works the other way round – we can start dehumanising those in leadership positions ‘above us’, or those who work in different teams. We make terribly unfair assumptions about people all the time. A little bit of understanding, kindness and compassion goes a HUGE way in treating each other with kindness instead of suspicion. Humility – For those in leadership, there can be a tendency to forget that when we were in in ‘lower’ positions, we often felt the same low morale and pressure from those ‘above us’. Leadership requires that we keep our love and compassion switched on towards those who we now lead. This means we must really learn to listen, and that means having the humility to recognise where we have been getting it wrong. If we are not prepared to change, then we are not really listening. It takes courage to create a culture in which we can receiving a challenge from those in our team and be able to make a change and not just use our position to squash the person who dared to speak out. It takes even more guts to admit where we have been wrong, say sorry and move forward differently. Help – one of the very worst things that can happen in any team dynamic is when we hear the words ‘it’s not my job’. I hear it so often and it makes me sad! We must never think we are above any task – whether that is cleaning up a mess, wiping a patient’s bum or picking up some litter. We must simply help each other out. 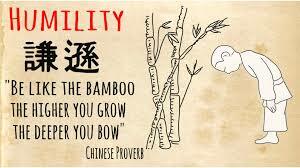 But we also need the humility to admit when we are struggling and actually ask for help. We encounter terrible and unspeakable trauma at times, or may simply be going through tough personal circumstances. Sometimes, we need the humility to recognise where we are not coping, where we are struggling, when we’re not functioning and ask for help. 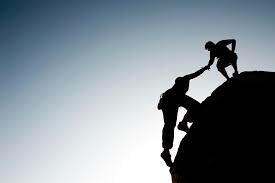 And when we ask for help we need to have the confidence that we will encounter the humanity of those around us to help us at our time of need. Honour – Sometimes a situation may not be able to change, but in these situations the very worst thing leaders can do is close ranks, shut communication down and raise the levels of demand. No, vulnerability, openness and honesty, sharing the reality of the situation and communicating clearly why things cannot change currently at least allows the team to pull together and face the situation as one. However, there must be a very clear challenge here – Yanis Varoufakis puts it so well in his book “And The Weak Suffer What they Must” – we have to remember just how crippling powerlessness can be. Like my patient this morning, she has no access to the ‘powers’ or to the ‘purse strings’. She cannot up and leave, she simply can’t afford to, and so she works under huge pressure for very little pay, powerless to enact change, other than to put in place her own boundaries. A cultural shift towards a culture of kindness is to ensure that those with the least ‘honour’ are treated the most honourably. Leadership is about being able to take the hit, not self-protectionism at the cost of ones team. It is absolutely amazing just how far the words ‘Thank You’ can go, to keeping this sense of honour alive. Health – (by health, I mean wellbeing in its widest sense) – we have to actually care for the people around us. We have developed a culture in the NHS and social care where we will do all we can to care for our patients/clients, but will break the backs of ourselves or our teams in the process, which is actually entirely self-defeating! It is impossible to care for others well, when you are feeling exhausted and broken! I have said it on this blog before and I will say it many times again: we have to develop a sense of the health and wellbeing of the people in our teams. We need time in the craziness and business of each day to stop the mad rushing, be still and take notice/be mindful/be heartful. We all need time to get up off our chairs and stretch and be more active – #runamile every day (it only takes 15 minutes). 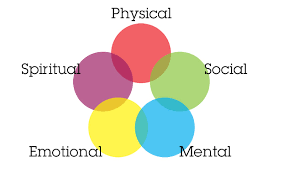 We need time to connect with each other (do we really take time to know the people we spend an inordinate amount of time with and alongside and check they are actually doing OK? ), to eat well, stay hydrated and keep learning, so we don’t feel overwhelmed. Building these as an absolute priority into our daily work routines is vital, especially as pressures increase. The tendency is that when the going gets tough, our health gets significantly worse. We must learn to protect this in the midst of our business, or we will suffer the consequences in multiple ways. Hope – there is an ancient proverb that says: “hope deferred makes the heart sick, but hope coming is a tree of life.” Hopelessness takes root when we feel that nothing can ever change and we feel powerless to influence anything. Hope is born when we develop ways of working in which teams can work together on solutions to the problems they are encountering, rather than being dictated to from on high in a unrelational way. 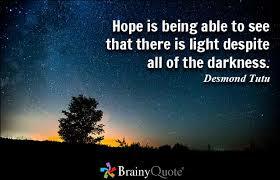 Hope is about being able to sense that the future is alive with possibility. It is a life line when things are tough, when the tunnel is long and dark – just a little glimpse of light – and then faith builds that together we can get there. Not difficult. Actually pretty straight forward. We don’t need unkindness or low morale in our work places. We don’t want to be suffering with compassion fatigue because we are physically and emotionally drained and running on empty. We really can create the kind of culture we want to see and experience in the NHS and social care – a culture of kindness – sounds nice doesn’t it?! All it takes is for us to remember humanity, humility, help, honour, health and hope.